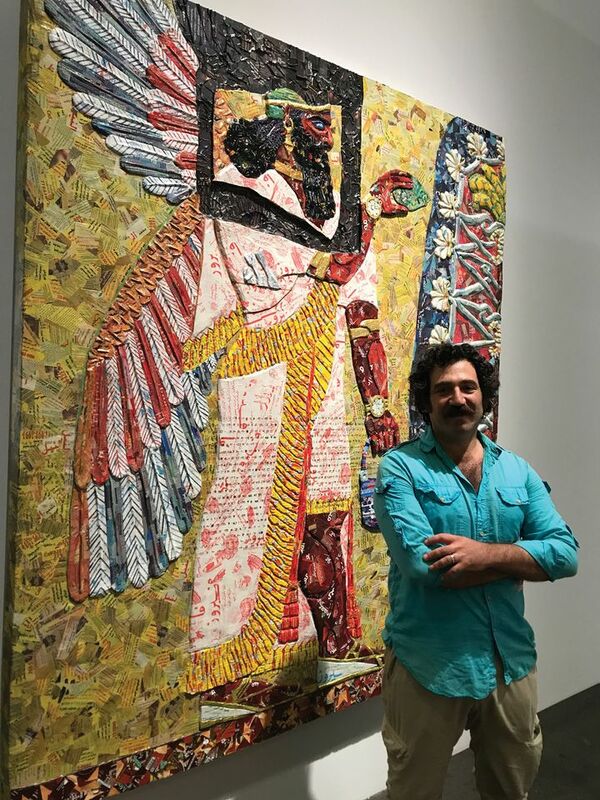 The Chicago-based artist Michael Rakowitz, who is showing new work in the Unlimited sector of the fair, will be the subject of a major survey next year at the Castello di Rivoli in Turin and the Whitechapel Gallery in London. The show will be organised by Carolyn Christov-Bakargiev and Iwona Blazwick, the directors of the respective institutions. The reconstructions were created with help from the University of California Los Angeles’s Cuneiform Digital Library Initiative, and curators at the British Museum and the Oriental Institute at the University of Chicago. The works are made from Arabic newspapers and packaging from Middle Eastern foods. Meanwhile, the death of Tamir Rice, the 12-year-old boy shot by Cleveland police in 2014 has spurred Rakowitz to launch one of his most audacious schemes. He wants to rid Cleveland of orange, the colour of the missing safety tip that would have identified the gun Rice was holding as a toy when he was shot. An open call was launched last autumn, asking local communities to surrender orange toys, household items and other ephemera, which will be displayed at the Spaces venue during the inaugural Front triennial (A Colour Removed, 15 July-30 September).